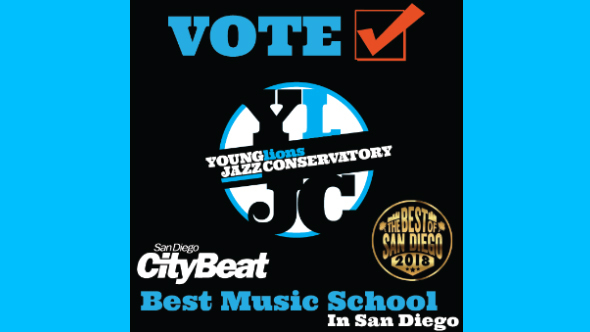 Vote!Young Lions Jazz Conservatory Nominated for Best Music School in San Diego! Vote for for Young Lions Jazz Conservatory for Best Music School in San Diego! Follow link to vote: https://bit.ly/2x9rryW Thank you San Diego CityBeat for the nomination! 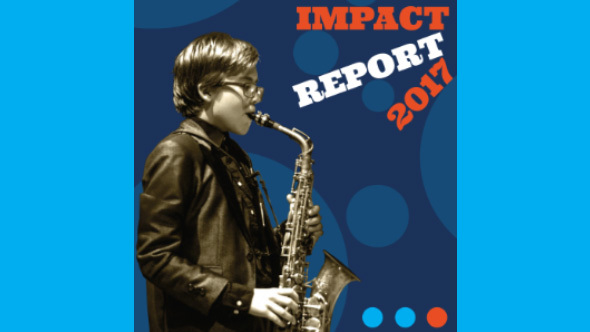 Young Lions Jazz Conservatory is pleased to provide you with our first ever impact report. The impact of your generosity and support over the span of just under five months has been remarkable, and we can’t thank you enough for making so much possible for our kids. Together, we are making a difference in young lives. In the News: John Murray Featured in The Reader! 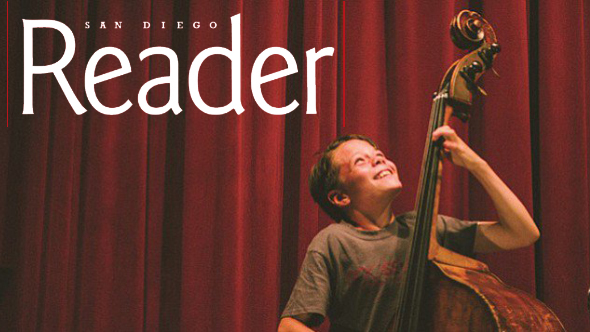 We are proud of our thirteen-year-old bassist John Murray for being featured in The San Diego Reader this week! 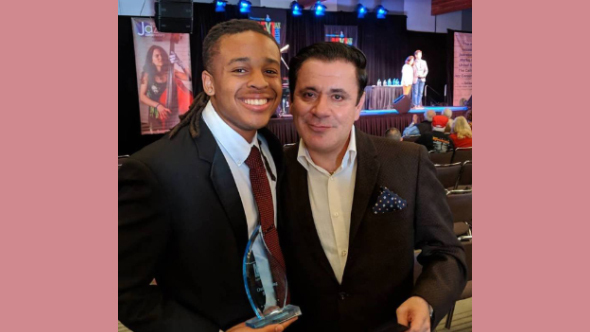 This incredibly talented young man explains his musical beginnings, the opportunities he has at Young Lions Jazz Conservatory, and his musical aspirations. Partnership: YLJC Teams Up with Theatre Arts School of San Diego for a Performance! 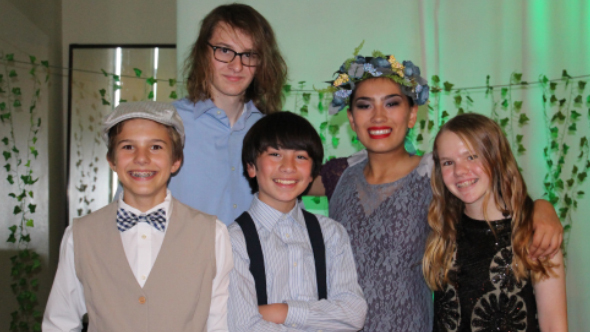 Students of Young Lions Jazz Conservatory partnered with the young actors of Theatre Art School of San Diego on a production of Midsummer Night’s Dream. The production was set in the roaring twenties and featured jazz music from our conservatory students, tumblers from May Acro and Dance and a cast of incredible young actors. 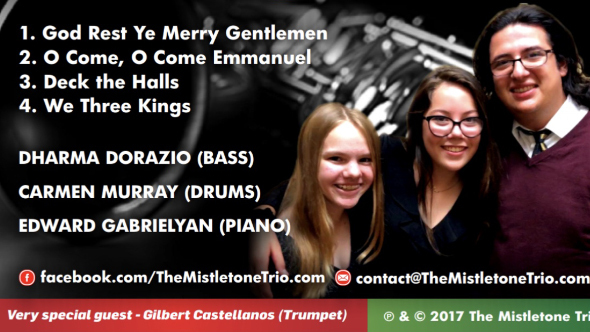 Dharma Dorazio, bass, and Carmen Murray, drums, two Young Lions Jazz Conservatory students, joined forces with Edward Gabrielyan, keys, (a not-so-Young-Lion, he graduated out of the program last year) to form “The Misletone Trio” to do some holiday jazz. They recorded a promotional CD/EP that somehow found it’s way to KSDS Jazz 88 radio station. Partnership: Enjoying our Partnership with San Diego Symphony! 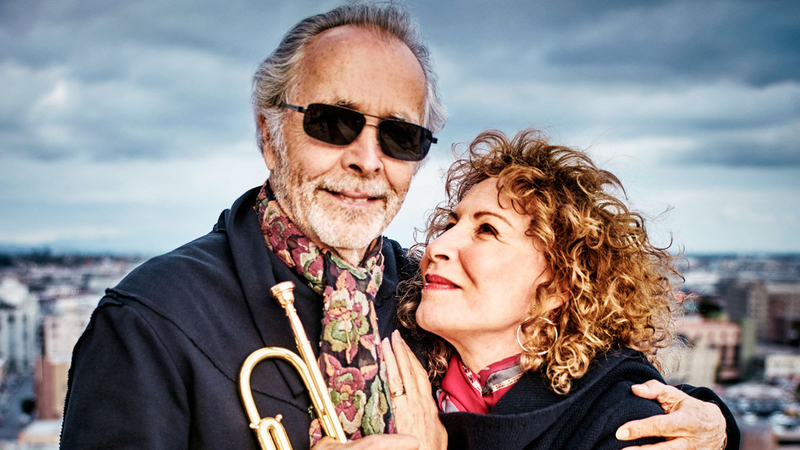 The San Diego Symphony gave the Young Lions Jazz Conservatory 30 tickets to see Herb Alpert and Lani Hall at Bayside Summer Nights. Young Lions and their families got to enjoy the show from “The Chalet,” VIP seating! It was a night we will never forget! Gilbert Castellanos started the Young Lions Jazz Conservatory in the Summer of 2017 to teach San Diego’s best and brightest young musicians and provide them performance opportunities. The Young Lions Jazz Conservatory is a non-profit 501(c)(3) recognized corporation. 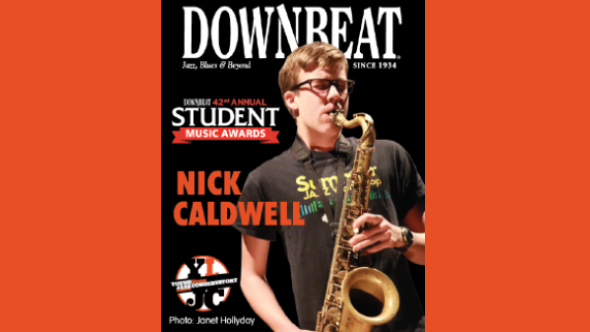 DownBeat Magazine Honors Nick Caldwell! Click here to sign up for our newsletter on Mailchimp.